Every time before I make breakfast I turn up the stove and then decide what to make. I will have egg today, I decided. So I broke the egg in a bowl and what I saw in it scared me. I broke ONE egg. 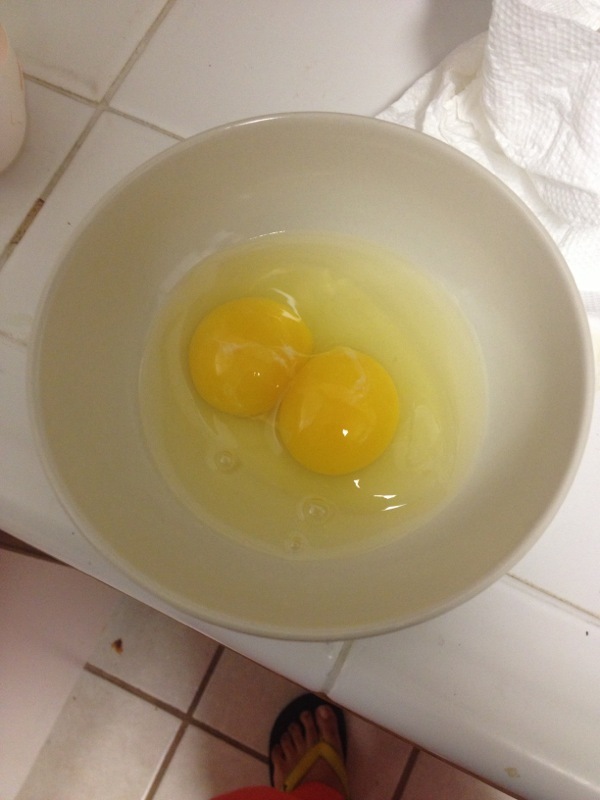 There was ONE portion of white and TWO portions of yolk joined together in the center. It looked like a Venn Diagram! I’m not particularly fond of ingesting a genetically modified egg with two yolks, so I dumped the egg down the garbage disposal. My friend told me that it was a pair of twins. Mommy hen must be pretty pissed.